At Carolina Hand and Sports Medicine, our number one commitment is providing excellent care for our patients. 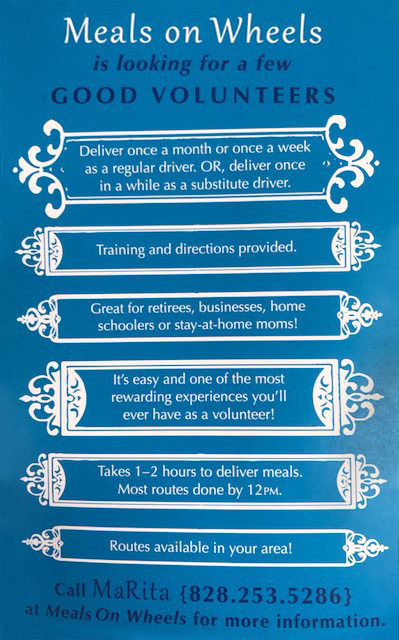 We also believe in giving back to our community and are committed to helping our local community. 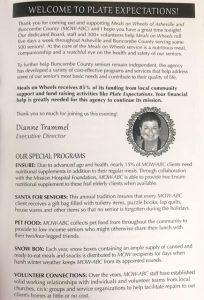 Our physicians, staff, and families support a number of community causes. We’ve found many wonderful organizations in need of committed sponsors. Read on to learn more about some of the causes we support. 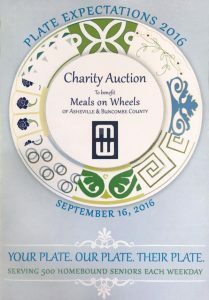 Dr. West was the presenting sponsor for the Meals on Wheels Annual Plate Expectations Banquet. 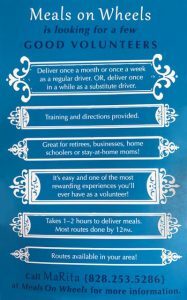 Meals on Wheels provides hot daily meals to 500 people every day in WNC who would otherwise go hungry. 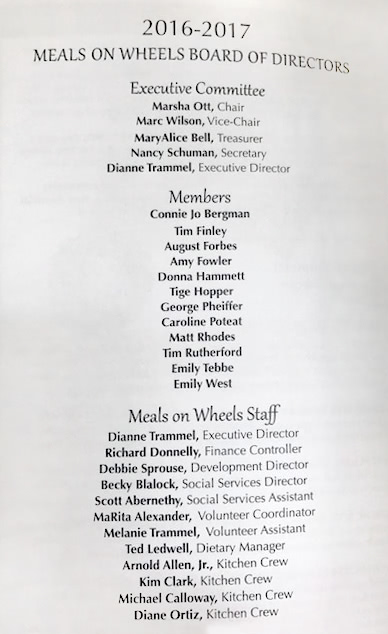 This charity is special to the Wests, as evidenced by Dr. West’s wife, Emily, being on the board of Meals on Wheels. 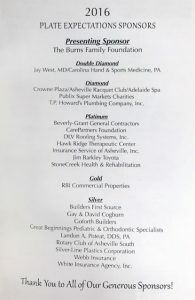 Dr. West was the Presenting Sponsor for the Asheville Christian Academy Bi-Annual Gala. 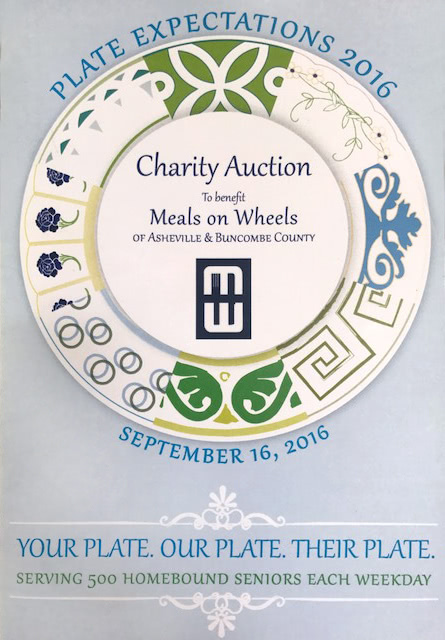 The event was a big success for Christian education in WNC. 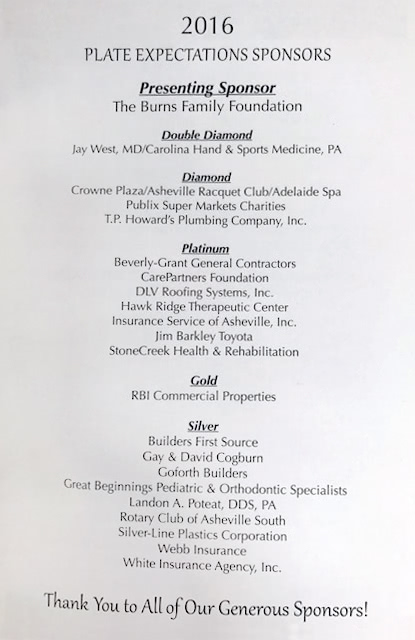 Dr. West was the presenting sponsor at the WNC Fellowship of Christian Athletes (FCA) Banquet at Biltmore Forest Country Club. 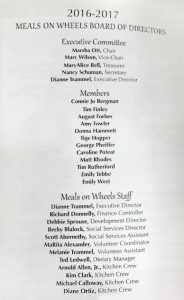 Dr. West had dinner with the presenting sponsor Coach Larry Fedora. Coach Fedora is the head football coach at the University of North Carolina at Chapel Hill and graciously offered his time in support of FCA. Dr. West sponsored the Young Life Biltmore Sporting Clays Shoot. 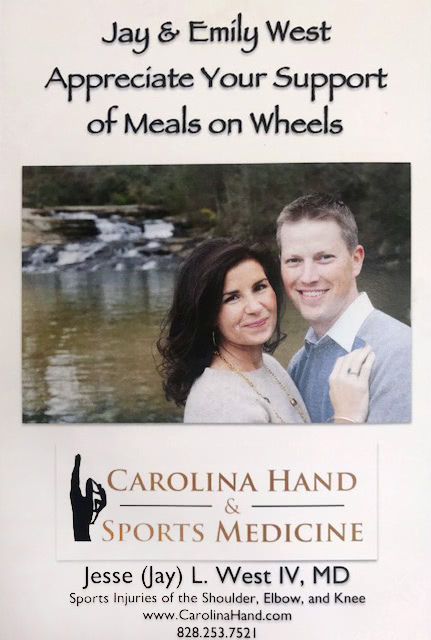 Dr. West and the Carolina Hand and Sports Medicine Team brought home 1st place among approximately 20 teams. It was a great day, benefiting a great cause.